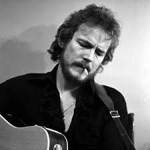 Learn how to play Gordon Lightfoot – Bitter Green note-for-note on guitar. The preview video contains the introduction taken from the complete lesson for the song Bitter Green. Please note that as with all the Gordon Lightfoot lessons, it covers Gordon’s part but doesn’t cover Red Shea’s part.